In terms of dementia, the way you react to the outburst is important for calming the patient. Our caregivers are trained to react properly and help sufferers deal with their confusion. They know what works and what doesn’t for your loved one. After getting to know the client, our caregivers will be able to tell earlier signs and prevent any outburst from taking place. Reacting to the outburst is something you want to leave to the experts. The nutritional needs of seniors may be different from yours. For their dementia, they have to eat brain foods and other kinds of food that help them stay healthy and satisfied. Our Non-Medical Home Care in Winter Haven, Fl includes counseling you and your loved ones on senior nutrition or preparing meals for the client to meet their specific needs. We want to ensure they will get more energy and have an improved quality of life. It is not easy to see a loved one gradually losing their memory. However, our caregivers can work with them and ensure they retain as much memory as possible. Although dementia cannot be reversed, doing the right tasks and works can help in slowing the process. Our caregivers can help your loved one do some brain exercises through memory games. We know what dementia is like. We understand how disappointing it is for the client and for their family members. We provide Companionship Care in Florida to assure you and your loved one that assistance is always available when you need it. 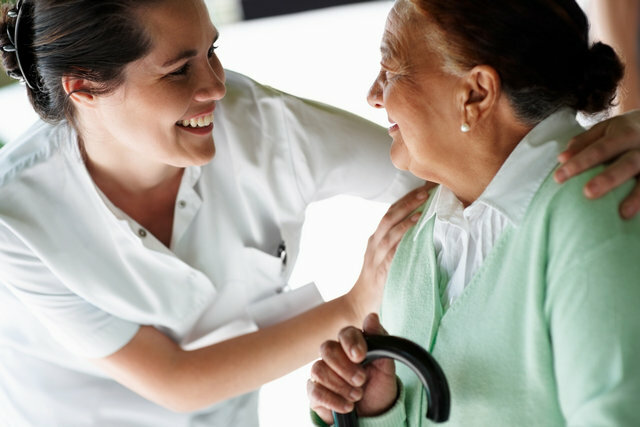 We want to provide the best care possible so clients can have a high-quality of life. A loved one with dementia needs help and the best thing you can do is to hire one of our caregivers to assist them. Hiring us is not pushing you away, instead, it is letting us do the job properly so you can focus on other important aspects of your life and provide the best assistance to your loved ones. If you want to learn more about our services, please feel free to call Compassion Home Care at 863-845-2268 or visit our website at www.compassionhome.net. This entry was posted in Home Care and tagged Caregivers, Companionship, Dementia, Home Care Services, Homecare, Non-Medical Home Care. Bookmark the permalink.